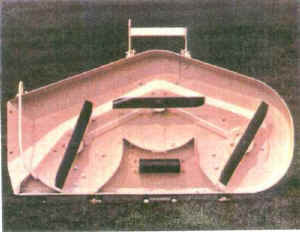 Overlapping blade design for a smooth uniform cut The leading blade is placed ahead and all blades are interchangeable. The mower attaches to the front axle so as axle pivots over dips and ridges, the mower floats and follows on its rollers. 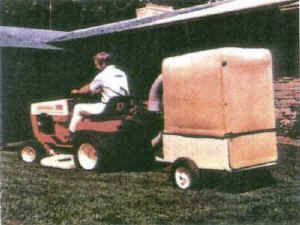 14 and 12 hp tractors accept both 42" and 48" mowers. The 10 hp tractor handles the 42" mower only. 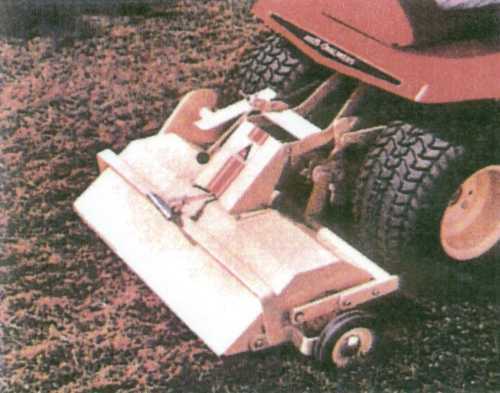 Attach this vacuum collector to your tractor and make your lawn come clean. Picks up clippings, leaves and debris to give your lawn that professional Lawn Lover look. 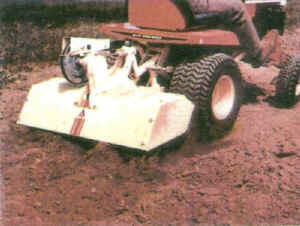 Lawn revitalizer is a combination dethatcher-aerator. Makes your lawn look its level best by bringing lawn-choking thatch to the surface for sweeping . . . while cutting grooves in the soil for air, water, fertilizer and seed. 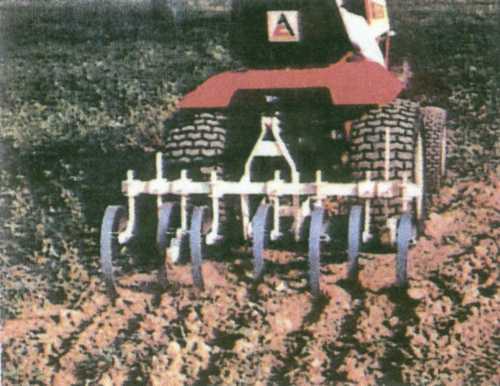 Rotary tiller is a big 36" wide. Digs down to 7" and blends the soil for better planting and growing results. Spring tooth harrow loosens and levels the soil. Vibrating action of spring tines helps break up the ground.